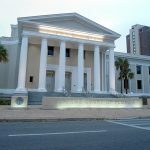 Florida Supreme Court Archives - Shannin Law Firm, P.A. Attorney Nick Shannin represented disabled client Cinnette Perry, who was seriously injured by the actions of employees of the National Deaf Academy, before the Fifth District Court of Appeal and the Florida Supreme Court. Ms. Perry’s aunt, Denise Townes, filed suit in Lake County against the treatment facility, which raised medical malpractice defenses in an attempt to defeat Ms…. *Latin for “by the way,” used to describe a remark in a legal opinion that is not essential to the judgment but is useful to the reader.